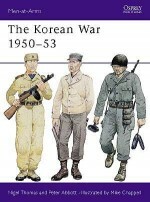 This volume (the first in a new series) illustrates all the users of the F-51/RF-51 during the Korean War in contemporary colour. These aircraft were some of the most colourful Mustang ever to see action, and the author has used his extensive contact base to accumulate the largest private collection of Korean colour material in the world. Accompanying the photos are detailed captions, quotes from pilots in action and a full appendices listing of the various units that served in Korea, plus specifications/cutaways of the aircraft flown.